Hey guys! 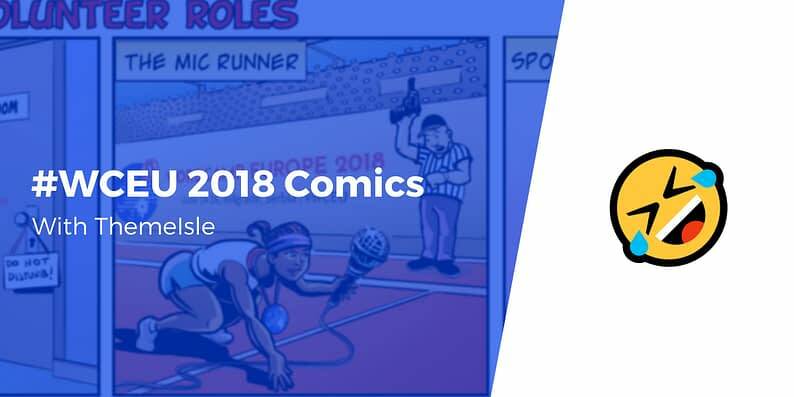 As you probably already know, ThemeIsle will go to WordCamp Europe 2018 as a media partner (we mentioned it on several occasions in our posts). 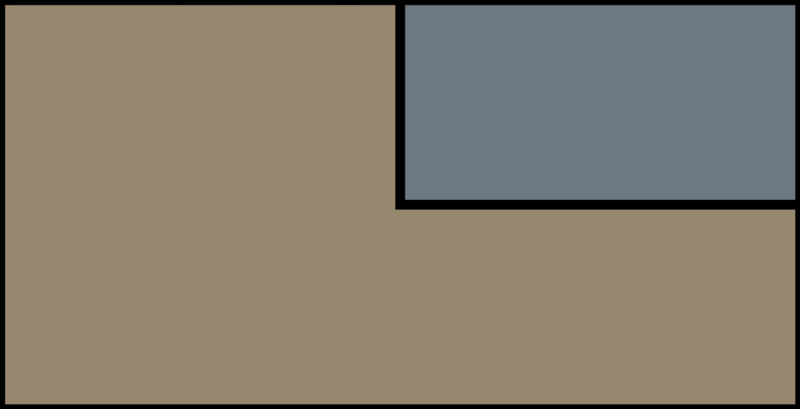 The road so far has been fun; we had to modify our agenda a bit and get involved in helping the organizers with the promotion of the event, both on social media and here, on the blog. 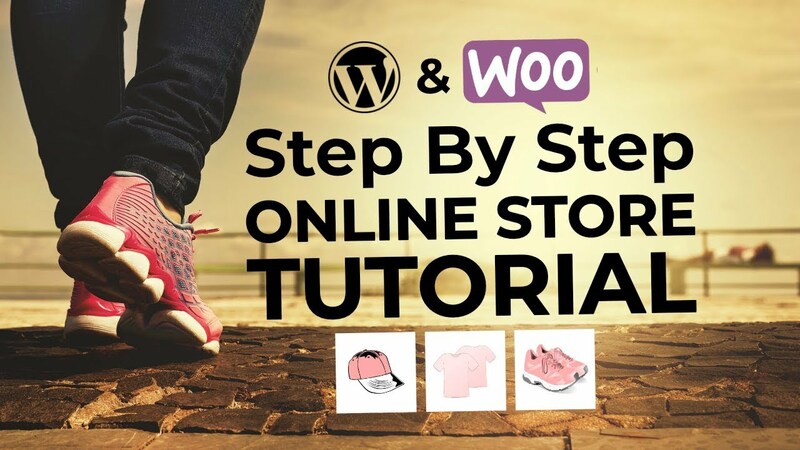 After doing interesting interviews with members of the organizing crew, joyous roundups with committed WordCamp-ers, and even an infographic comparing all the WCEU editions (from first to current), this time around we have jokes for you! Illustrated jokes, that is, made by Christian Mirra. 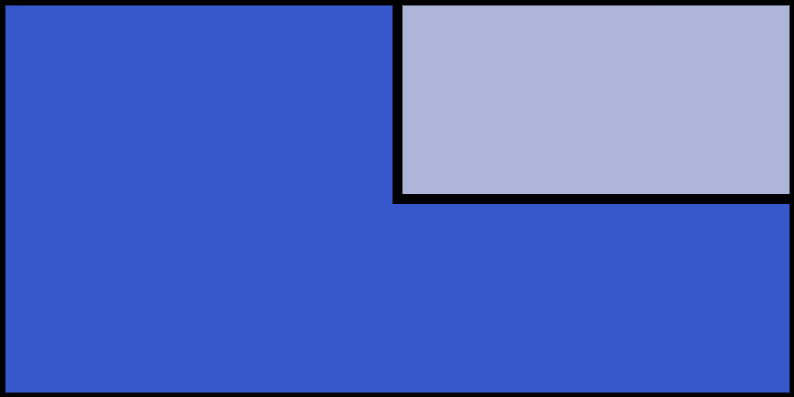 We’ve been experimenting with comics for nine months now on our other blog, CodeinWP, and enjoyed it big time. So why not try it again here? We love volunteering at WordCamps so much, which is actually the reason why we created a three-panel comic strip only about volunteer roles. A hint to the official after party and a reference to the speaker sessions will be the two stories that will complement the whole picture. If you’ve joined the volunteer squad, make sure to check your job description and schedule before starting your shifts. Have you ever managed to attend all the sessions in an event? Probably not. According to the schedule, many great presentations will be happening at the same time again this year. Also, several workshops were added to the agenda, too. So even more events will overlap. 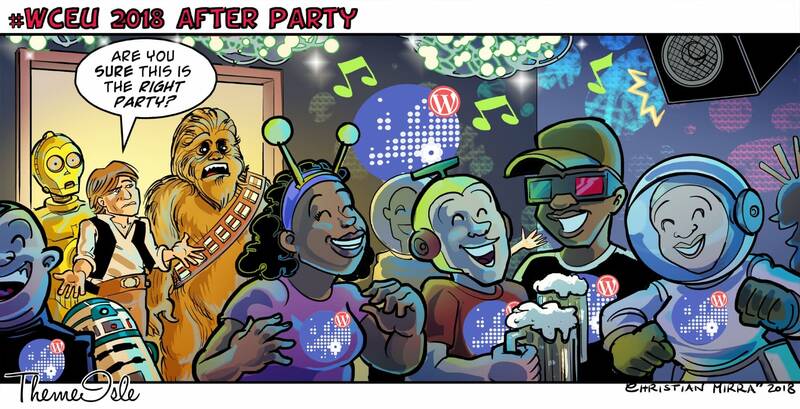 Wondering why Han Solo and his friends mistook the WCEU after party for their own? Because a retro-futuristic gathering does sound like something that would be organized by your favorite Star Wars characters. And because “ain’t no party like a #WCEU after party”, of course. That is all, fellow WordCamp-ers! 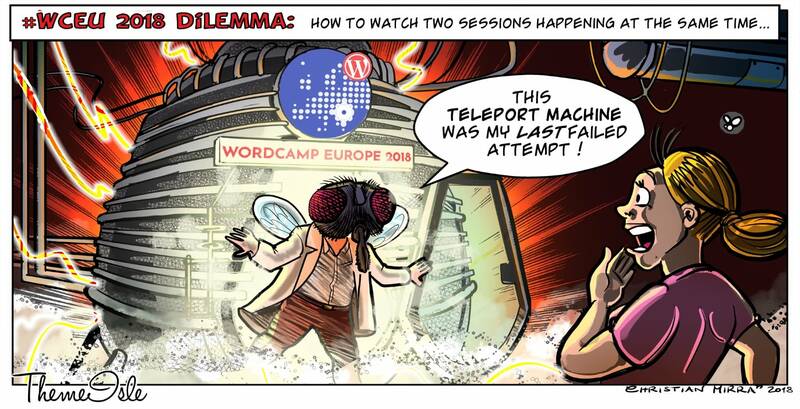 If you like our special edition of these WCEU comics, show us some love via the comments section and social media, so other people can smile as well. So, fill up with enthusiasm and coffee because WordCamp Europe is about to start in only a few days. Our team will be there volunteering, doing live interviews in the Media Room, attending workshops, helping WordPress grow during Contributors Day, and keeping up with all the parties. But that’s just us. What are your plans for Belgrade?